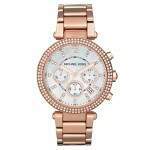 - Round bezel adorned with Swarovski® crystals. 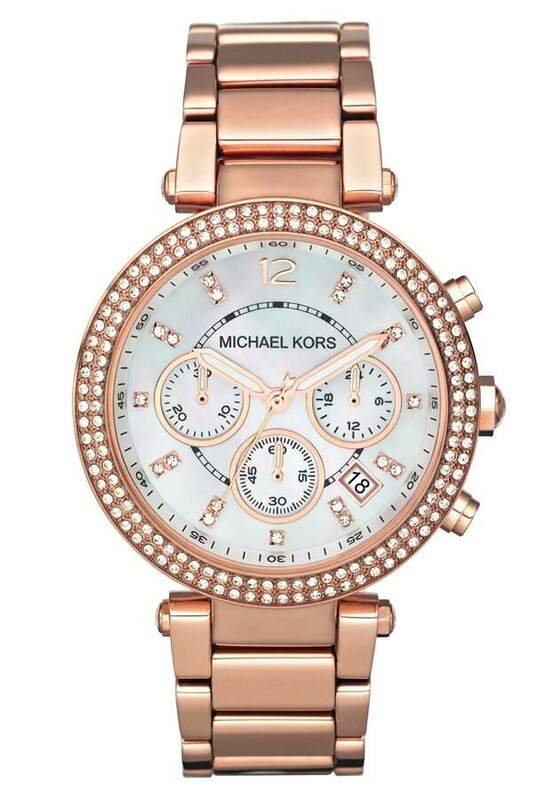 - White mother-of-pearl dial with pave crystal markers and rose golden accents. - Rose golden stainless steel bracelet.